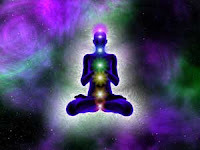 This is energy work in which you are calling a guide to heal you. The person applying the "numbers" and the person receiving the "numbers" both need to believe and visualize the the "numbers" working. The numbers create a vibrational output that strengthens the intent of their effectiveness (and sort of "pings" a spiritual healer to help). The belief and intent work in unison with the energetic output from the spiritual guide to create a healing. Know that they will improve with practice in their use. The spaces between the numbers are IMPORTANT, be sure to copy them exactly as written for them to work. write it on the part of the body, or on a sticker and stick it on the body anywhere in the aura. pull up anything that has the numbers on it online, on your phone or tablet, make the number big on the screen, and hold it over the body part or food item you wish to apply the code with the intent to use it. In all three methods, Archangel Raphael and Divine Mother will actually BE present and provide the power from where themselves for the code to work. It is your practice, skill, desire, intent, and trust that will make the difference in the Healing going from THEM through you and your aura to help what you desire to be fixed. There is also a powerful influence of the energies that are on Gaia at this time, they have not been this high since the days of Atlantis and Lemuria--think of it as an 'Energy Soup' which provides the essential healing energy for these codes to work, too. The higher the vibration, the better these codes are going to work, in every way. CAN THE HEALING CODES BE COMBINED OR REPEATED? Yes. There is no harm in mixing these codes. They can be used as often as desired to achieve the result you seek. WHAT IF THE HEALING CODES DON'T APPEAR TO WORK? This is energy healing. It is like Reiki. Reiki always helps and has no side effects. However, healing can take place on deeper levels than what meets the eye. Illness is the result of an energy imbalance that is very difficult for most people besides psychic healers to see. When the imbalance is not corrected, it manifests in the physical body. So remember when you are using energy medicine, the healing goes to both the underlying energy imbalance and the physical. Sometimes the physical heals first, like in my son. Sometimes the deeper healing takes place. Either way, healing is happening, and you will have to trust in it. DO THE HEALING CODES REPLACE DOCTORS? Perhaps in the times of Lemuria and Atlantis they once did. However, today, with illness, there is a trend towards healing that I call 'Whatever Works!' --or 'Take The Best And Leave The Rest'. Dr. Masaru Emoto, a wonderful healer, insists that all his patients continue their standard treatment, and his water 'balancing' energy healing is a layer that goes along with it. This is what I recommend to you--think of these codes as powerful 'layers' to add to your over all healing--much like the Reiki I give to my patients in the O.R. during their surgery. Remember that medicine, and medical intuitives, are also the ones that give the diagnosis and the treatment plan. They are familiar with disease and its natural progression. It is good to have someone with this knowledge to track your progress, and perhaps, see the miracle of the healing codes directly through their result on your efforts! This assembly of codes and the instruction how to use them is NEVER to be sold, but always to be shared free and without any claim or exchange. It is written for the free use by all humans and all beings as I give the codes for the free use by ALL. Each human, each being has a right to use these codes free and without charge. It is also not allowed to change this assembly, unless I give my appropriate personal order for this. Without the authorization through me or as a transfer against exchange the codes will be useless, because they request a certain consciousness and a certain frequency level of the people so that they can be used. I tell you this to stop any ideas for this purpose before they even begin. This is a living document, all new codes and the links to the messages shall be integrated here. And please remember the spaces in the number sequences as they are important. Without them the codes won't work. Be careful to write the number codes correctly." Use your heart and your inner guidance. Practice until you feel you have the skill to apply these with maximum benefit. Ask for All Divine Assistance to help you every time, and to correct for any mistakes you might accidentally make in using them. "Last night, I used 86 42 789 on myself with my Lemurian Seed crystal before going to sleep. I'd like to add to the disclaimer, DO NOT try to suddenly stand up! I awoke after a few hours with an urgent need to use the restroom, the energies were still assimilating, & nearly fell over after quickly jumping out of bed. The energies are indeed very powerful, it was an amazing & intense feeling, I can already feel the improvements to my mental state but please be careful & take it easy when using this code. We don't want anyone to have any nasty spills while trying to heal." 16 16 714 for ease in adapting to what is new--to embrace change and welcome it! 96 55 178 to have hope flow from you to others in a group, no matter how large--your energy will not be exhausted as Heaven will support your efforts and deliver hope through you to the rest, and your own hope will further increase. The last six are new from Divine Mother. They can be given by the loved ones to the one who is suffering--use your body as a surrogate for the codes, or trace the codes on a picture. They can also be used by those who are suffering on themselves to ease the distress. Divine Mother ADORES all of Her children and wants each one to know how MUCH she cares...for them. 20 02 936 for those who are on renal replacement therapy--both hemodialysis and peritoneal dialysis--to experience less setbacks and side effects from such treatment and have a smoother experience overall. This includes placement of access for dialysis, keeping the access working and open, and tolerating fluid and electrolyte shifts with each dialysis session of either kind--hemodialysis or peritoneal dialysis. 12 56 316 for hyperpigmentation and keloid scars to have better appearance while they heal with 55 75 986 and 41 52 896. 88 76 543 for opening the heart chakra when it is closed--good for low self-esteem, lack of self-love, poor self-acceptance, and deep injuries on a soul-level. It will not resolve karmic imbalance but it supports the healing process greatly. Use with permission from your Higher Self or Inner Guidance for you, and also with permission on a soul level if used to help heal another. 88 27 465 for self-healing on the soul. With this code, quantum healing energies are supplied to expedite the soul healing process. What would otherwise take years can be healed in amateur of weeks or months. As with other codes of a spiritual nature, be sure to check with your Higher Self or Inner guidance for the appropriateness of its use. 15 01 807 for increase in the recognition of the vibration of the original soul who is indeed Galactic in origin, for the purpose of decreasing the attention that has been given otherwise to those who are not who they present themselves to be in 'star lineage'-- to help discern a 'true prophet' or 'Divine Emissary from Heaven' from false ones. 06 11 507 for harmony in all things -- both in outlook and the effect on others that is contagious! 18 26 753 For Twin souls in Heaven who miss their loved ones who are incarnate. 88 44 578 Increases the life-giving nutrition of food (may be combined with other codes) If you are only going to use one code this is the one to use. 57 56 105 for pesticide neutralization in the environment after long-term use. Includes Round Up. 43 33 556 for allergies to medication in general, to make reactions to them less severe but not all the way--to halt the increase in allergy caused by the medicine without taking away the beneficial effect of the medicine itself. 88 66 125 for side effects to medication in general, to make the reactions to them less severe but not all the way--to halt the increase in reaction to the medicine without taking away the beneficial effect of the medicine itself. * All codes for humans are safe for use in animals. There are only two exceptions--the two listed in the Disclaimer below. Do not use them on animals. Everything else is safe and welcome to be used for animals any time.